Factual Management’s Oona King is leaving UK politics to take a top job at YouTube in San Francisco (via Standard.co.uk). This entry was posted in Oona King on July 21, 2016 by FactualManagement. This entry was posted in Oona King on April 29, 2015 by fmMark105. Oona King: My financial life – Pride Magazine. This entry was posted in Oona King on September 9, 2014 by fmMark105. Congratulations to Onna, Tiberio and the whole family! Oona King: My surrogate baby joy | Mail Online. This entry was posted in Oona King on October 14, 2013 by fmMark105. BBC iPlayer – Any Questions? : Alistair Burt, Oona King, Bronwen Maddox, Joan Smith. This entry was posted in Oona King on June 24, 2013 by fmMark105. Oona King: My family values | Life and style | The Guardian. This entry was posted in Oona King on April 22, 2013 by fmMark105. 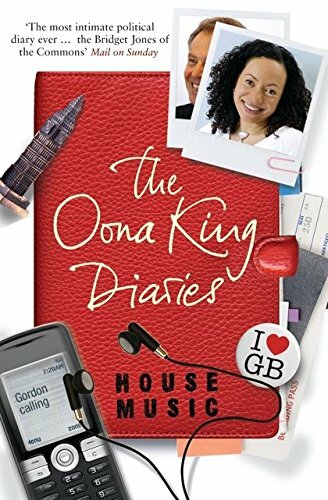 The eBook of Oona’s diaries ‘House Music were launched last night at the House of Lords. Sections of the diary were dramatised by award winning playwright Tanika Gupta and performed by comedian David Scneider and Oona’s cousin, actor Ed Stoppard. Many of Oona’s Labour colleagues were in attendance as well as some of her fellow Dancers on Ice. The Spectator was also there, and have written up the event here. The ebook itself is available here. This entry was posted in Oona King and tagged David Schneider, diaries, Ed Stoppard, House Music, House of Lords, Oona King, Spectator, Tanika Gupta on February 26, 2013 by fmMark105.